Lily of the valley symbolizes chastity, purity, happiness, luck and humility. The flower is often seen in royal weddings, say Kate and Meghan's bouquets. 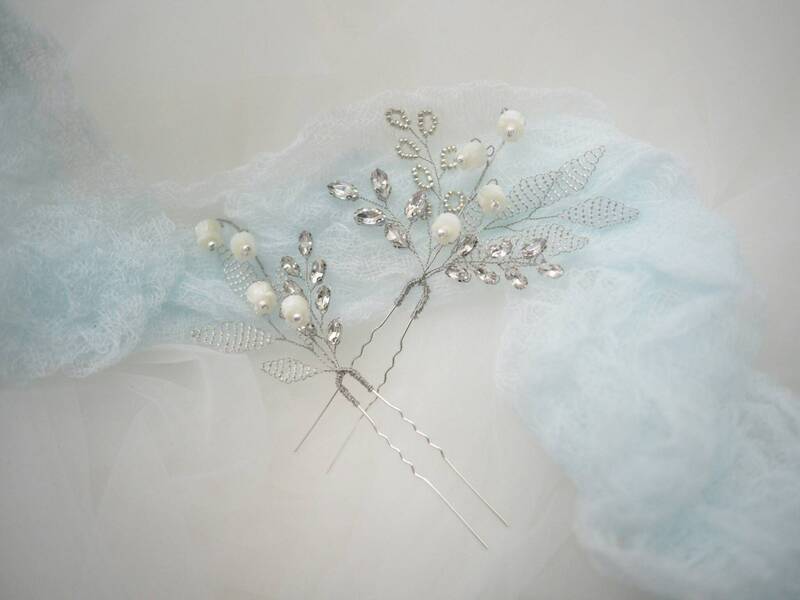 If the flower is not in season by the time of your wedding, one of the option is silk flower. 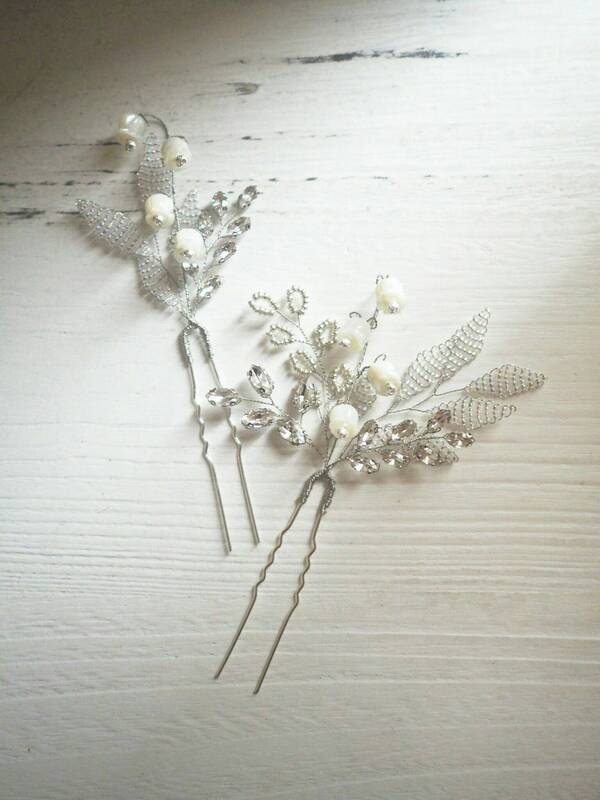 Another option is ---- to wear it in your hair with these stunning mother of pearls lily of the valley pins! 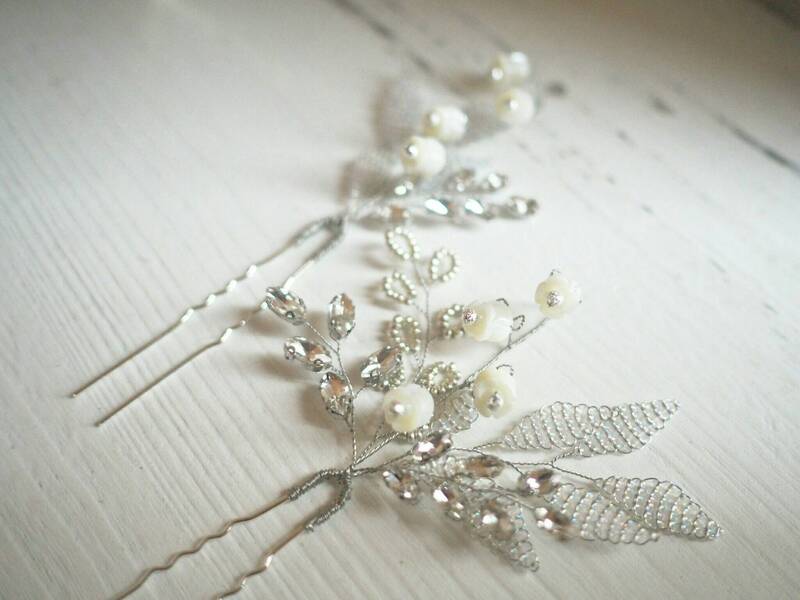 These hair pins are beautifully handmade, with handwired leaves, and crystals. 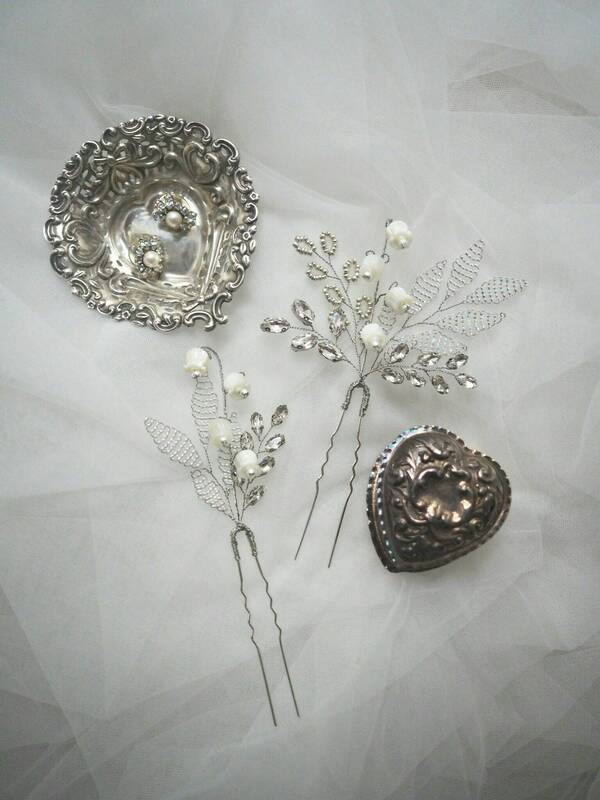 You can wear them together or seperate to create different style with a higher flexibility!